Steel Mains has the capability of supplying a full range of fittings, including fittings fabricated from pipe and/or cylinders rolled and welded from plate steel up to a thickness of 40mm. 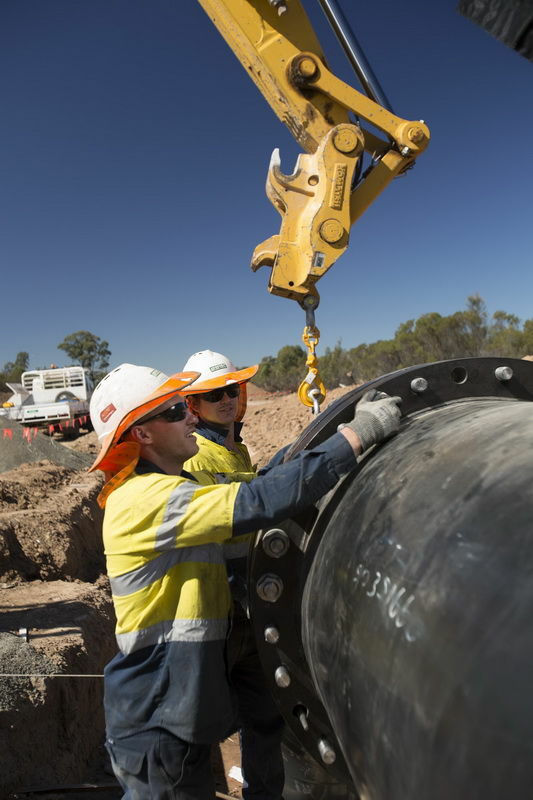 Steel Mains Steel Pipeline System Fittings are often manufactured to suit the specific needs of customers and a wide range of steel fabricated fittings can be supplied in addition to the standard range. For example expansion joints, purpose designed dismantling joints for high pressure applications and complex fittings such as bifurcates and trifurcates. Fittings are typically coated in SINTAKOTE® and cement mortar lined with welded, flanged or SINTALOCK® joints. Each fitting is designed for the application with appropriate reinforcement. Steel Mains range of SINTALOCK external welded restraint, rubber ring joint steel pipeline fittings components brings new economies to fittings manufacture and field construction. SINTALOCK fittings allow construction of a complete rubber ring jointed pipeline system. Bends are incorporated with a SINTALOCK socket which is then welded to the spigot end of a specially prepared pipe with a standard SINTAJOINT® socket end and SINTALOCK spigot end. Tees and valve and scour offtakes are available as standard system components. This eliminates the requirement for cement mortar lining reinstatement at the bend while taking full advantage of the benefits of SINTAJOINT and SINTALOCK. Tapers, reducers and bends can be incorporated with SINTALOCK joints. Hockey Stick SINTALOCK® and SINTAJOINT® pipes feature a rubber ring jointed socket at angles up to 15 degrees. Coupled with the available angular deflection in the joint, (up to 3 degrees), significant changes in direction can be accommodated using several ‘Hockey Sticks’ in series. 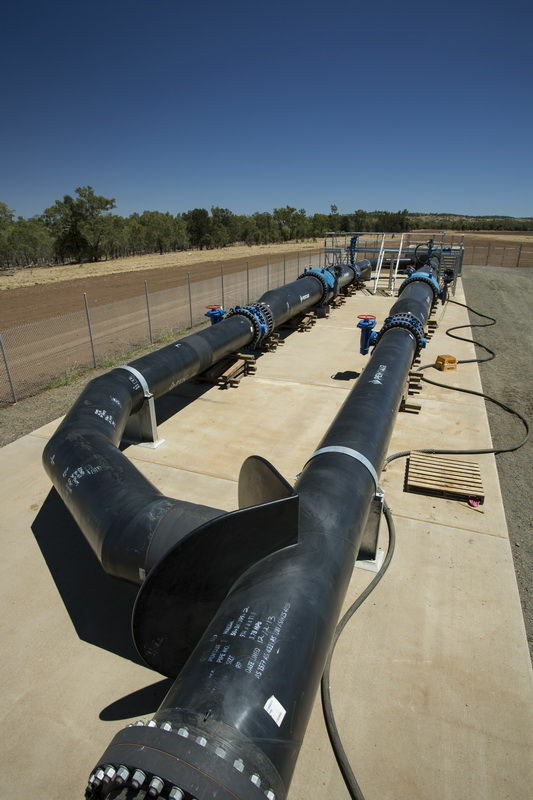 Pipeline bends can be supplied to any angle from 1° to 90°. Tee branches can be supplied in any standard diameter not larger than the body of the tee. Branches may be flanged or provided with either spigot or socket for rubber ring jointing to suit the demands of your pipeline system. Reinforcing of tee branches is available as required. Please download a copy of our Fittings brochures shown under “Brochures” for more information on our Sintakote Steel Fittings.